Driving for Better Business and their partners are delivering a number of exclusive demonstration days to allow fleet decision makers to try out the latest driver assistance technology on both cars and vans. Fleet decision makers will get to understand what the different technologies do, what the benefits are for collision reduction and, more importantly, have a go themselves so they truly understand how these systems can protect drivers in real on-the-road situations. 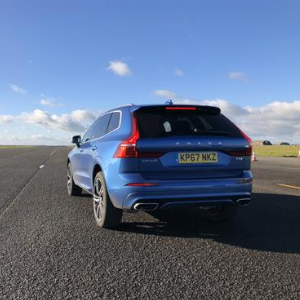 One such technology – Autonomous Emergency Braking (AEB) – has been proven to reduce rear end collisions by up to 38% and third-party claims by up to 45%. Any employer in the private or public sector with a reasonable sized fleet should therefore be able to significantly reduce unnecessary vehicle damage by ordering vehicles that have AEB fitted as standard. These events give fleet decision makers a chance to experience the latest systems for themselves, driving in a controlled environment, and in the care of highly trained instructors and engineers. Dealers are normally not permitted to demonstrate these technologies so this could well be the only opportunity you have to see how these new technologies and systems work, and experience how they interact with the driver and the car’s other control systems. Recent events have been attended by representatives of some of the largest and best-known fleets in the UK but the lessons are applicable to any fleet, small or large. The next two events are being held on March 20th and March 21st at the Thatcham Research proving ground.